For all of you who want to use their Oliver more Offroad - we have now the answer! We can increase the travel to approx. 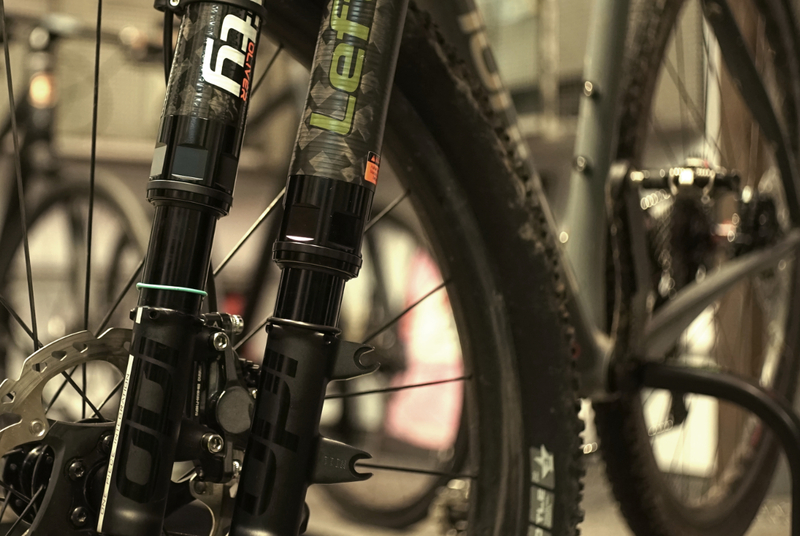 5cm - so you can use the fork like a real suspension fork (form a zero SAG to a real SAG) that makes more fun trails! It has following changes on the geometry- the crown height is also round 2cm higher and a little slacker steering angle. How we can reach this: Only a perfect telescope allows the use of the extended travel. Therefore we made a needlebearingoptimization. During this procedure we dissassemble, calculate and assemble the telescope for a smoother running. This is a requirement for the next step to the damper tune- which we can affected by oil viscosity, low friction seals, shiming. The damper is "tuned" to the riders preferences . And all that without any weight increasing!